I for one am definitely looking forward to this tea party! 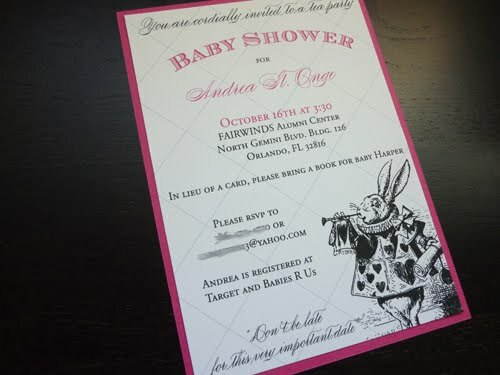 Hi I am hosting a baby shower for a good friend and love love love the Alice in Wonderland baby shower invitation that you have posted. Is it possible to have these made? if so, how much is it for approximately 30 invitations? I am hosting a baby shower and would like to have these made. Is it possible? and what is the price for about 30 invites? Yes, you can. Please contact me at contact@blushpaperie.com for additional details.